Highlights of the Sky Bet Championship match between Fulham and Rotherham. 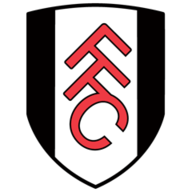 Fulham moved to within striking distance of the Sky Bet Championship play-off places as they beat lowly Rotherham 2-1 at Craven Cottage. Slavisa Jokanovic's men, who had scored nine goals in their previous two games, were made to come from behind through goals from Stefan Johansen and Floyd Ayite either side of half time. In reality, they had the chances to continue their goal glut as Chris Martin saw a penalty saved and Johansen hit a post with a free-kick, but they did enough to extend their unbeaten run at Craven Cottage to five games and move to within two points of the top six. For Rotherham, who finally ended a 15-game winless run against QPR on Saturday, things started well when Joe Newell put them ahead midway through the first half, but normal service was resumed and they slumped to a 15th league defeat. Given Fulham's goal frenzy in recent weeks, Rotherham would have been keen to land the first blow and they were gifted the perfect chance in the third minute as a loose pass saw Izzy Brown burst through on goal, but he chose to square to Danny Ward and the shot was easily saved by David Button. The Cottagers were enjoying plenty of the ball, but the chances were all the Millers' and, after Button had tipped over Tom Adeyemi's effort, they took the lead after 18 minutes. Adeyemi fed the dangerous Brown, who squared it to Newell, with the midfielder drilling into the bottom corner from 22 yards. 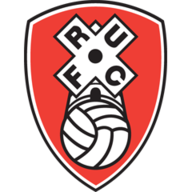 It was always going to be optimistic for Rotherham to keep a clean sheet given their defensive record this season and so it proved as Fulham levelled just after the half-hour. Martin's goalbound shot was superbly blocked by Richard Wood, but the loose ball fell to Ryan Sessegnon and his ball into the area was met by Johansen, who coolly slotted into the corner from just inside the area. That saw the tide turn and the hosts had three good chances to take the lead before the interval, but they found goalkeeper Lewis Price in good form. Price's legs kept out Ayite's effort after a nice piece of skill and then he acrobatically tipped over Tom Cairney's header from a quick counter-attack before Michael Madl headed the resulting corner wide. The hosts came out firing after the break and they needed nine minutes to go in front as Ayite swept home Lucas Piazon's shot from 12 yards. This gave Jokanovic's men license to go and attack and Johansen grazed a post with a free-kick and Martin missed from the spot after Aimen Belaid was adjudged to have pushed Madl. Sone Aluko, Cairney twice, and Sessegnon all racked up missed chances, but there was no danger of a Rotherham comeback. "At the end of the day I have to happy. It was a freaky game for us on a Tuesday night against the bottom of the league, it was hard for us. When you get to the end of the game and only have a one-goal lead you get nervous because they can score easily. "We made enough things and chances - we missed the penalty - to make the game easier for us. We didn't do it and if you don't do it you will suffer. We played well in the second half, although I was a bit worried when we didn't get the third goal. It is not easy against the bottom team." "We have worked hard with the lads, we knew they were a very good team. I knew it was a hard ask. We prepared well, the lads believed they were going to get something out of the game, and I thought in the first 20 minutes we were really dangerous on the counter attack. "We should have gone one up earlier than we did, but I also knew they would keep coming at us. I asked the lads to give me everything and they did."